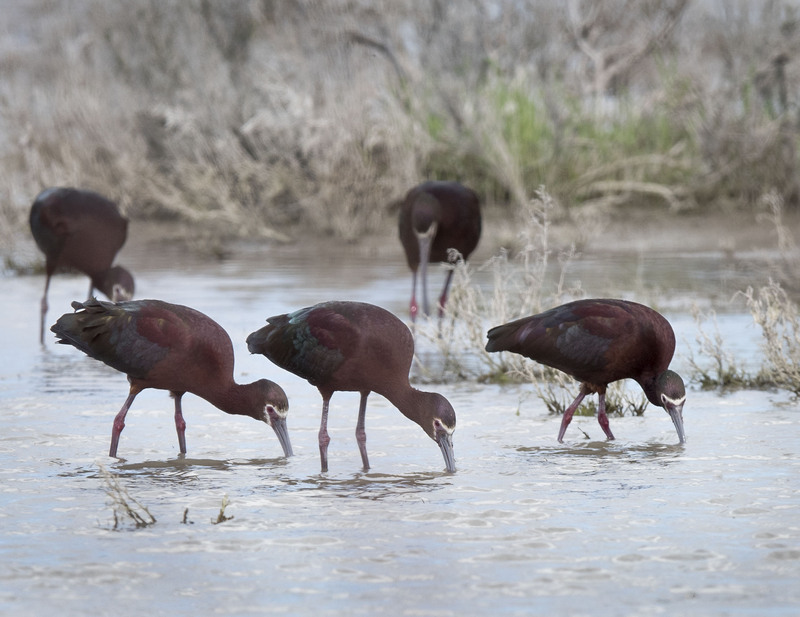 White faced Ibis foraging in shallow ponds at Bear River National Wildlife Refuge. 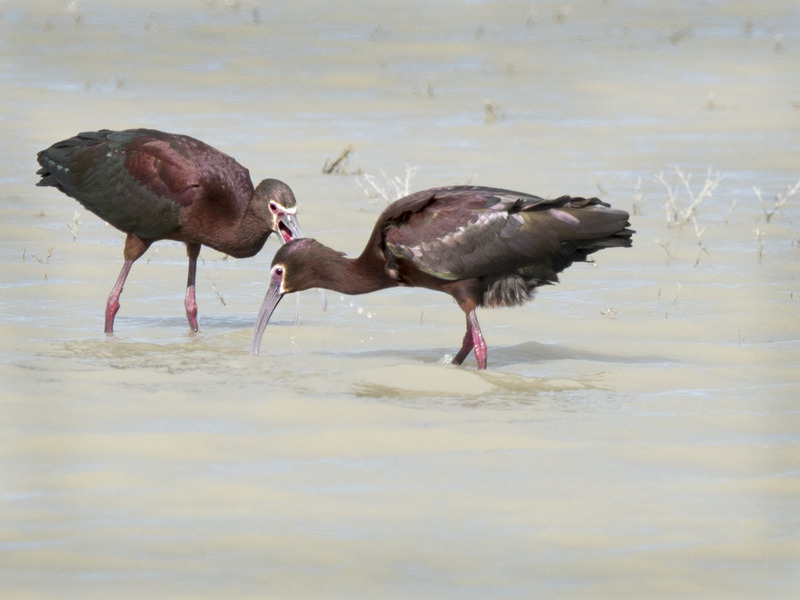 It was amazing to see so many Ibis working these ponds to find a days meal. But as can be expected when food and family are involved a few squabbles are sure to occur. This one was settled quickly and all in all it was a peaceful day watching these brilliantly colored birds go about their business. Nice series, Mike. Their iridescent plumage is so beautiful! Thanks Eliza, the midday sun did not show off their plumage as well late afternoon but it is amazing nonetheless. Hope you have a great weekend and the hail storms have left your region. Thank you, Mike. Thankfully, hail is rare here. Rare hail is good hail. We got hit again a few weeks ago and it was a mess with the garden being the least of most peoples concerns. A local mall is even going to be closed for 4-5 months from the damage and repairs required. Wow, mid- and western states really do get hammered. Like I said, it could have been much worse! I count my blessings. We seem to have sprees of hail years then a break. Keeps the roofing companies happy. 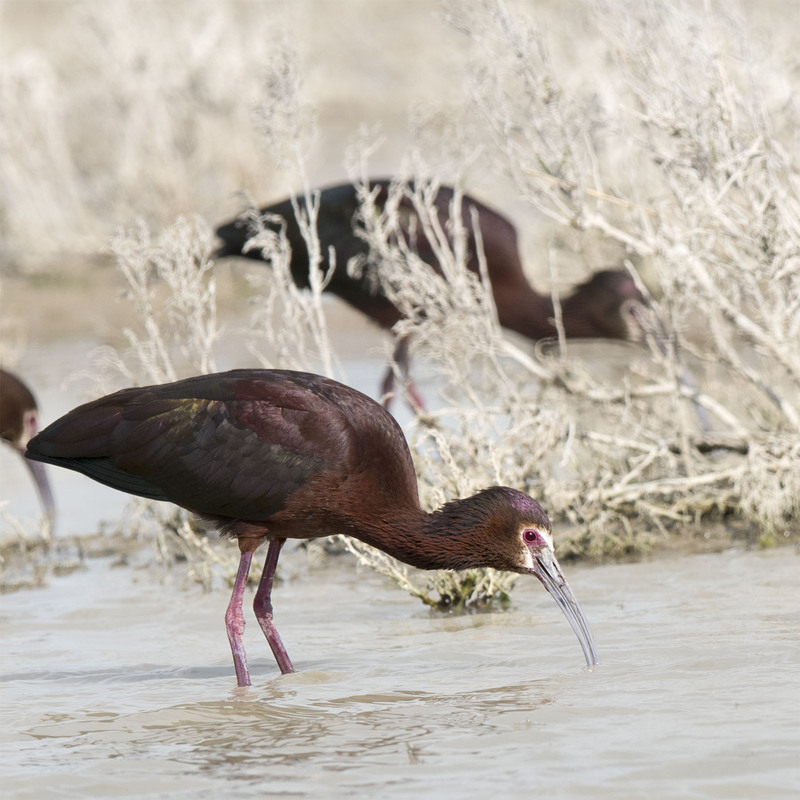 We have a lot of ibis in Sydney parks foraging garbage and robbing lunches in the city. Those bandits are black and white. HI Mary, the Ibis in Sydney sure are a different lot than those we have. They are shy and like to stay away from humans and cities.